Simple, beautiful and traditional. 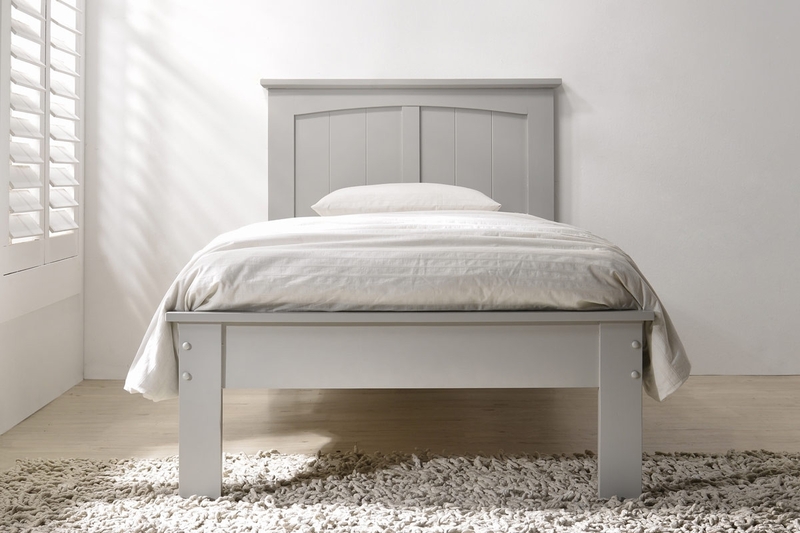 The Beeston’s design is based on a traditional farmhouse style wooden bed. 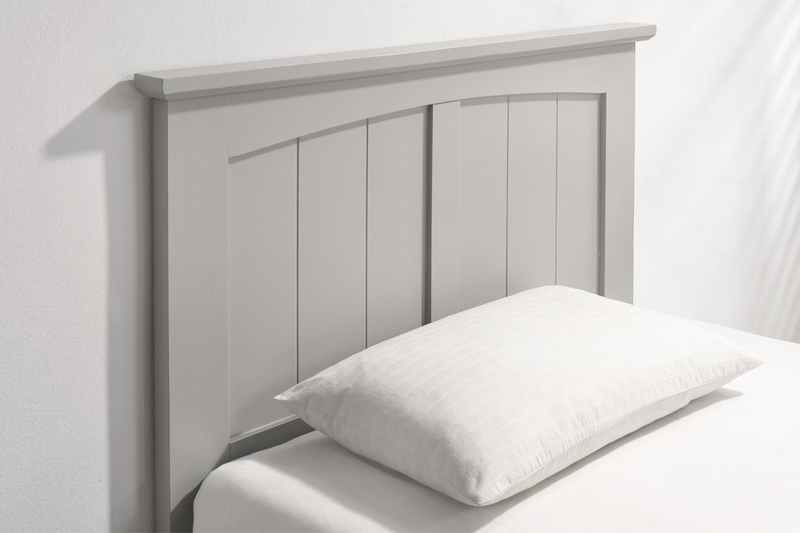 Featuring a low footboard, and curved panel design headboard. 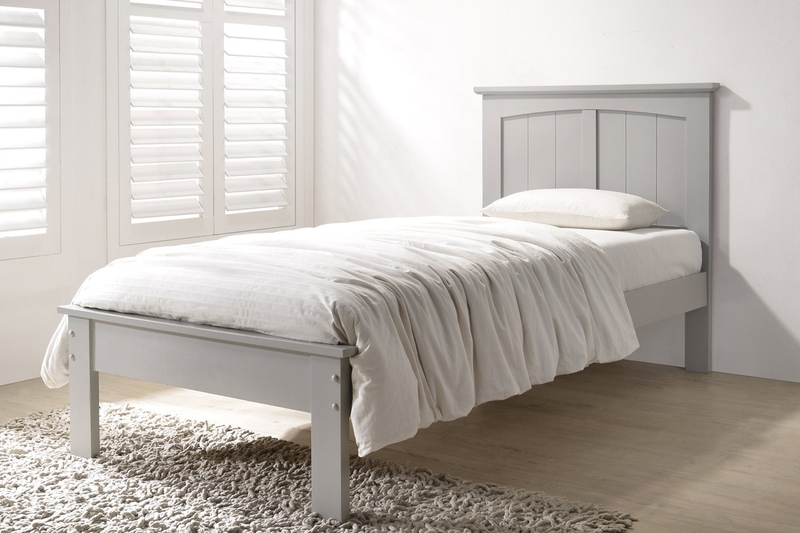 The solid wood bed frame has simple clean line design, and instead of a traditional wood stain, the bestow bed has been hand painted in a contemporary light grey finish.The neutral soft grey colour is perfect for all kinds off decor finishes. Available in single or double size.